August 1, 2018. Beijing, China - As a FIBA-endorsed event held by Sina Sports, the 2018 Sina 3X3 Golden League covers 72 cities across 30 provinces all over China. Now the Golden league is taking another major step forward. 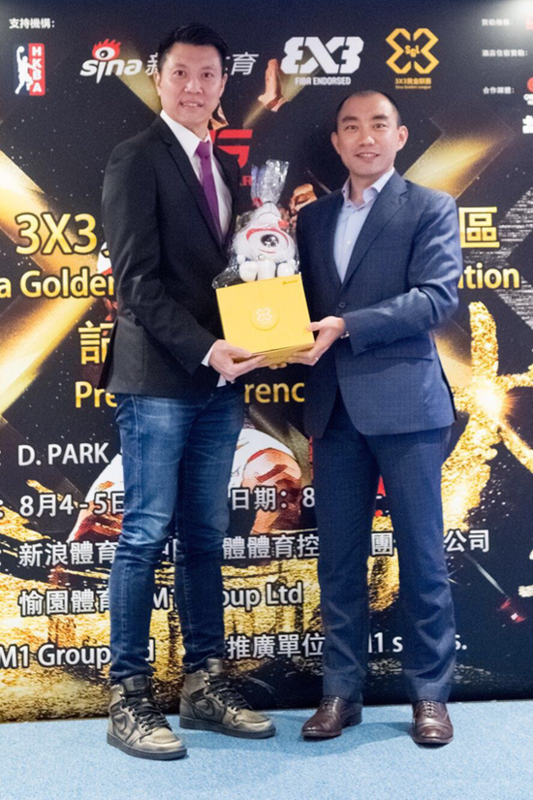 On August 1st, at Panda Hotel Hong Kong, the Sina 3X3 Golden League held a press conference to announce that its nationwide tour will be stopping in Hong Kong for the very first time. The Golden League will also be making inaugural stops in Gansu, Anhui and Qinghai provinces. However, the addition of the Hong Kong location has added significance because it marks the launch of the Golden League’s ambitious global expansion effort. Co-organized by Sina Sport, M1 Group, Happy Valley Athletic Association, and China Guoti Sport Holding Group, the Golden League Hong Kong stop is designed as a two-part competition with games on August 4th and 5th before the championship rounds on August 11th and 12th. Discovery Park, a popular shopping mall in Hong Kong, was chosen as the venue for the final. In recent years, 3X3 basketball has enjoyed increasing popularity in Asia due to the promotion of FIBA. However, it’s still hard to find official or large-scale 3X3 basketball competitions in Hong Kong. This 3X3 Golden League Hong Kong will serve to fill this gap and offer opportunities for high level players in Hong Kong to experience a FIBA-endorsed basketball event. With a total of 32 teams participating, the 3X3 Golden League Hong Kong received great support from Hong Kong Basketball Association. Hong Kong Basketball League will also send a team or players to represent Hong Kong in the Golden League. 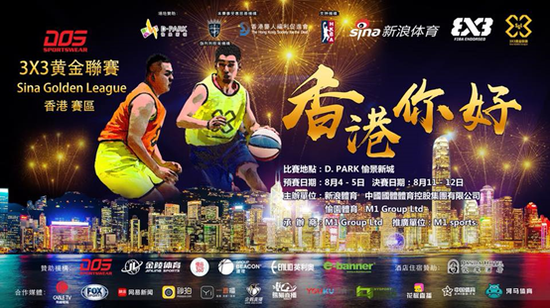 The champion of the Hong Kong stop will be sent to compete with top 3X3 basketball players from 8 different countries and regions at the Sina Elite League in November. 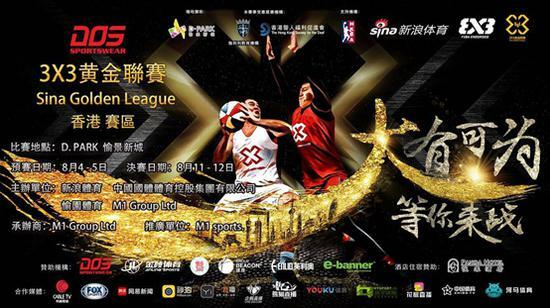 While in Hong Kong, the league will invite Guangdong Winnerway Team and Macau Black Bear Team to participate in 3X3 Invitation Tournament. 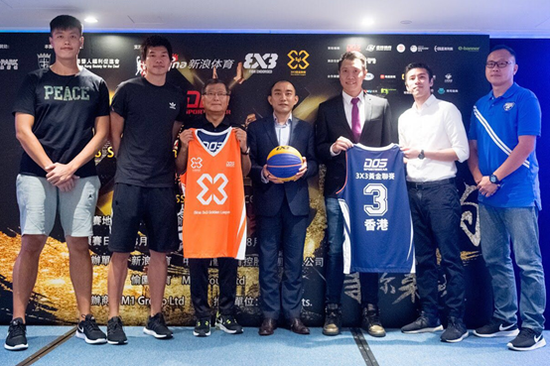 3X3 Golden League Hong Kong will help high level players in Hong Kong to experience a FIBA-endorsed basketball event. According to the latest news, Sina Sports will broadcast the games in Hong Kong across 10 Chinese live platforms. Additionally, Hong Kong Cable Television and FOX Sports Asia will serve as media partners and provide coverage for the whole event. Sina Sports is the #1 destination for sports fans in China. Established in 1998, Sina Sports was the first ever online sports platform in China, offering fans a diversified platform to access the sports news and games they care about, including a website (sports.sina.com.cn) and the Sina Sports mobile app. As a broadcaster, Sina Sports licenses and partners with over 90 sports properties including the European Champions League, Bundesliga, MUTV, the Masters, PGA Tour, LPGA, Wimbledon, UFC, and the National Basketball League of Australia. In conjunction with its sister company Weibo, Sina Sports also operates its own and third party social media accounts with more than 100 million followers. 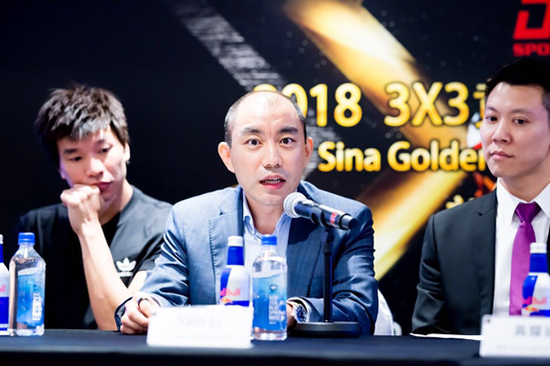 Since 2015, Sina Sports has expanded its business to create its own offline sporting events including Asia’s largest FIBA-certified Sina 3X3 Golden League basketball tournament and Sina 5X5 Golden League which is the leading futsal tournament in China. The growing portfolio of events also includes Sina Cup Junior Ice Hockey Competition, Sina Future Star Equestrian Competition, Sina Cup Alpine Skiing, and Sina China Bodybuilding and Fitness Competition.